Better breathing seems to be just about the simplest lifehack there is so lately IÂ´ve been trying a couple of ways to improve that part of my life. Last year I tried one way of breathing recommended by Anthony Robbins. Basically, what you did was breathe in while counting to 1, hold your breath while counting to 4 and breathe out again while counting to 2. Robbins wrote that you should take 10 of these breaths, three times a day (morning, evening and before going to bed). I tried it for about two weeks, and I guess I might have done something wrong, but it only made feel a bit woozy and overall more tired. The last few weeks IÂ´ve tried out a different approach. This oneÂ´s called belly breathing and itÂ´s pretty common. The curious reader can get a lot more information by simply googling the term. So far itÂ´s been more successful compared to Robbins approach. IÂ´ve noticed that belly breathing makes me feel more energized and clearheaded. It also brings a sense of calmness and sweeps away negative mental chatter. Put your hands on your stomach. Using your stomach breathe in slowly through your nose. If you are doing it right your stomach will expand and youÂ´ll feel it with your hands. Breathe in and out for about 30 times. Take deep and slow breaths. After you have taken 30 breaths and focused on counting them you should not only feel more relaxed and centered. Your body will also be able to continue breathing in this manner without you focusing on it. ThatÂ´s it. Continue with your normal day. I try to repeat this short exercise about 3-5 times a day to teach my body to eventually shift into belly breathing full-time. Nice tip. Do you recommend doing this in a quiet room with your eyes closed or does that not matter? I feel so much more relaxed when I’m able to breath deeply – so breathing “correctly” for me is definitely important. Thanks for the comment, Hannes. I do it with my eyes open and pretty much everywhere like when riding the bus/train or when sitting in front of the computer or while lying in my bed watching tv or reading. Thanks for providing tips. i am really inspired by this tip and would like to ask that is it recommended to implement this tip at early morning. As i feel more relaxed and composed to start a day with a bang. sometimes, friends and people around me laugh and make me a object of mockery and i feel depressed after performing the act. your tips are very helpfull.i have just went through it and it showed me were am i going wrong and what am i suppose to improve on. This post is just what I needed, today. I’ve tried the Tony Robbins method and felt as you did…thought I was doing it wrong. So nice to know it wasn’t just me! I could be wrong but my physical therapist told me that your stomach shouldn’t expand when you breathe, only your rib cage and chest cavity. If you breathe using your stomach, you’re actually making it harder on your body. When I do breathing exercises I usually place my hands over the base of my ribs and top of my stomach to make sure I’m doing it correctly. Not sure if that’s of any help, but it’s a thought. 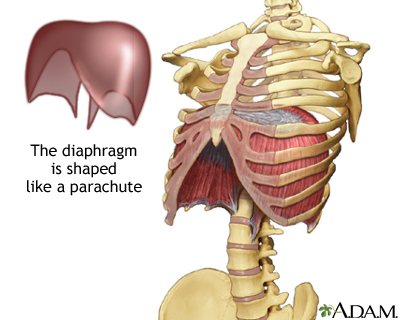 The natural way of breathing is through your diaphragm (which sits in your ribcage and makes your stomache expand automatically ) as we get older we get into the bad habit of breathing through the chest which is bad because that way your body does not get all the oxygen it needs which also causes people to hyperventilate. If you look at your dog or any animal or at a baby you see that they breath through the diaphragm. Also if you watch singers that sing correctly yiu see that they breath thourgh the diaphragm to bring out their voice (guess why babys can scream so loud). Doing the above exercises and just being a bit more aware of how you breath will help your health a lot. I hope that helped.